In European art, Renaissance Classicism spawned Baroque. Baroque art took the representationalism of the Renaissance to new heights, emphasizing detail, movement, lighting, and drama in their search for beauty. Perhaps the best known Baroque painters are Caravaggio, Rembrandt, Peter Paul Rubens, and Diego Velázquez. 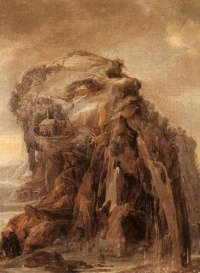 A rather different art developed out of northern realist traditions in 17th century Dutch Golden Age painting, which had very little religious art, and little history painting, instead playing a crucial part in developing secular genres such as still life, genre paintings of everyday scenes, and landscape painting. While the Baroque nature of Rembrandt's art is clear, the label is less use for Vermeer and many other Dutch artists. 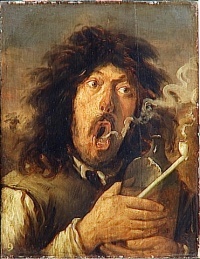 Flemish Baroque painting shared a part in this trend, while also continuing to produce the traditional categories. Baroque art is often seen as part of the Counter-Reformation— the artistic element of the revival of spiritual life in the Roman Catholic Church. Additionally, the emphasis that Baroque art placed on grandeur is seen as Absolutist in nature. Louis XIV said, "I am grandeur incarnate", and many Baroque artists served kings who tried to realize this goal. However, the Baroque love for detail is often considered overly-ornate and gaudy, especially as it developed into the even more richly decorated style of Rococo. Unless indicated otherwise, the text in this article is either based on Wikipedia article "17th century art" or another language Wikipedia page thereof used under the terms of the GNU Free Documentation License; or on original research by Jahsonic and friends. See Art and Popular Culture's copyright notice. This page was last modified 09:39, 23 November 2014.